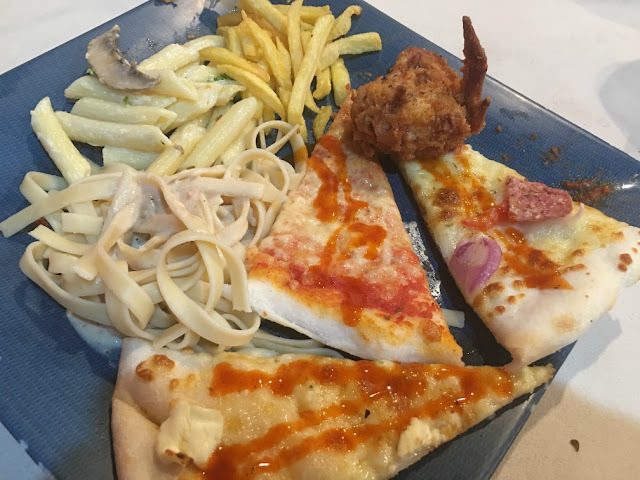 Yes, you read it right, eat all you can pizza, pasta and more at NYPD but no, not at New York Police Department (lol) but at New York Pizza Depot at APM Centrale, fronting SM City Cebu and beside the old APM Mall. Thanks to my brother for suggesting this place. I believe NYPD is one of the fastest selling buffet restaurant in Cebu City these days. Just like the 10,000 Roses in Cordova, it's not going to fade out real soon as it is still flocked by the locals up to these days. I even saw foreign tourists when we get there. 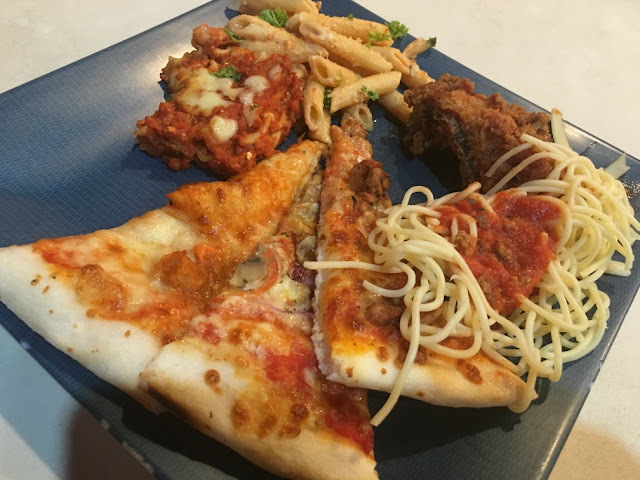 The NYPD buffet includes several varieties of New York style pizza, pasta, spaghetti, chicken, fries (chips) and yes, it also includes rice. 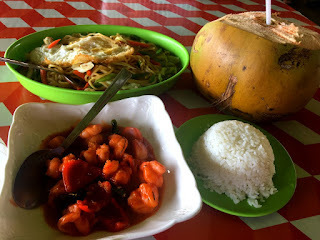 Price per person is one hundred ninety-nine pesos (Php199 or $4). Drinks not included. As the place is not as spacious as they should be, just like all buffet meals, in NYPD you only have a maximum of 2 hours to consume your unlimited pizza, pasta, chicken and fries. It's easy to get there, just ride any SM City bound jeepney and disembark at SM City Cebu then walk your way towards APM Centrale or APM Mall. The restaurant is located on the ground floor. Take a taxi and ask to be dropped at APM Centrale, if the taxi driver does not know where it's at, ask to be dropped at APM Mall or SM City Cebu. The restaurant is located on the ground floor. If you want to go there using your private vehicle, there is a parking space/carpark outside APM Centrale.